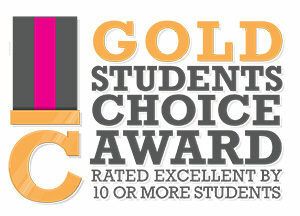 for the quality of our courses through Craft Courses UK. 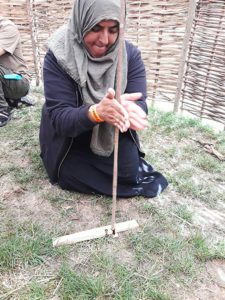 Bushcraft and survival based activities provide an excellent basis for helping people to understand social skills; team and personal development; as well as environmental issues. 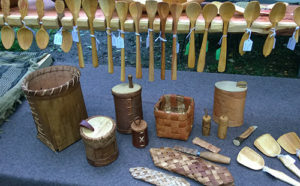 Find out more about Woodland Survival Crafts and take a look at our dates and prices for our current standard range of courses. We also provide personal tuition and mentoring on a one to one basis, as well as training for outdoor centres throughout the UK. My weekend on your training course was one of the highlights of my year. Dave has been an invaluable support in making Kingswood Inspiring Learning an award winning organsiation, delivering high quality outdoor learning programmes. 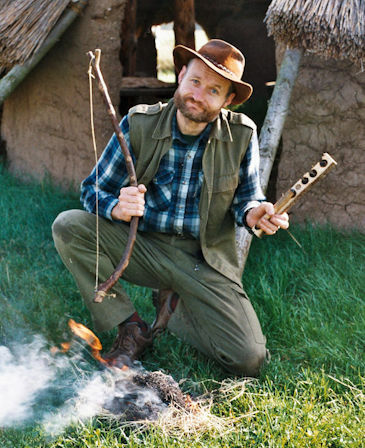 Via his expert tuition to our staff, combined with his extensive expertise and his unique and engaging approach Dave has revolutionised our delivery of Bushcraft, and changed a few lives along the way. 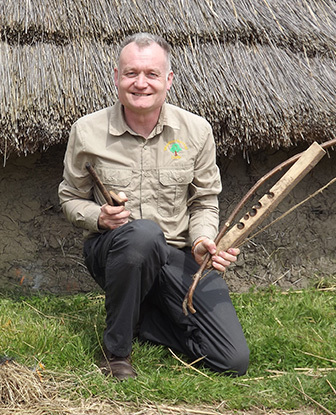 Via his training programmes he has innovated and developed the delivery of Bushcraft for tens of thousands of young people throughout our 10 residential centres. Our staff have become enthusiastic and expert practitioners themselves and this has allowed successive generations of instructors to develop and thrive, enhancing their own skills and enjoyment in delivering outdoor learning to children and young people. 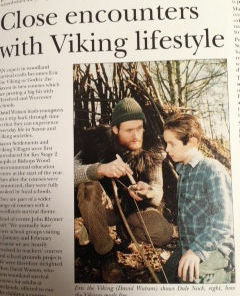 If I were asked to recommend anyone with a Bushcraft Specialism I would go no further than Dave, his business is a most excellent example for the outdoor learning sector to emulate, combining a strong ethos with professional expertise and a clear responsibility to sustainability and environmental education. High quality workshops to inspire Outdoor Professionals. 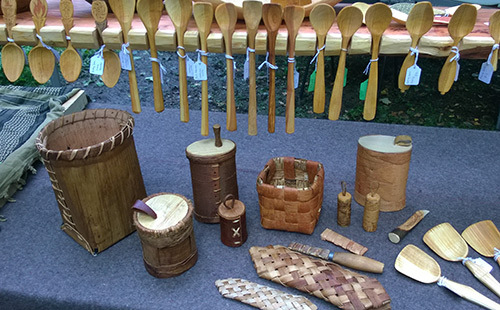 This weekend event brings some of the best/most experienced deliverers of woodland based crafts in the UK to provide you with some valuable short training and guidance. 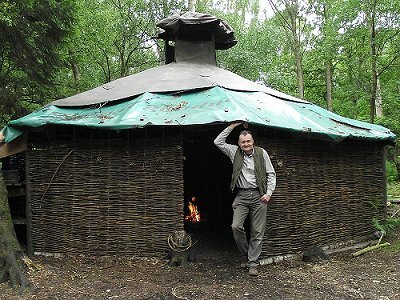 Camp in the woodlands or field or hire out a yurt/tepee. Booking form for Excellence in Woodland. Open this file in a new window. We are now offering Track Skills courses run by Kev Palmer. This two day course aims to give you the confidence and understanding of using of using Axes, Froes and Billhooks in order to build simple structures. Why not visit our shop and see what we have to offer? 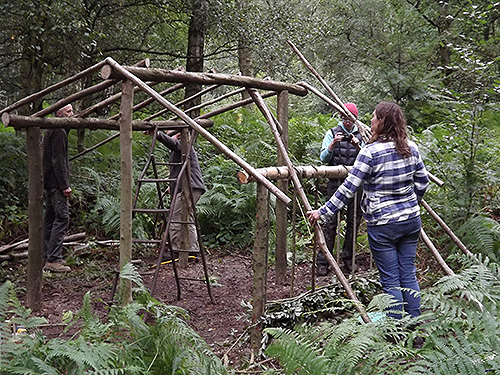 The latest addition is a handy booklet entitled ‘Shelter Frames and Campfire Furnishings’, with all the information you need to get you started on those key woodland building projects. BBC Countryfile Appearance Dave Watson made an appearance in the 8th August 2010 edition of BBC One’s Countryfile. 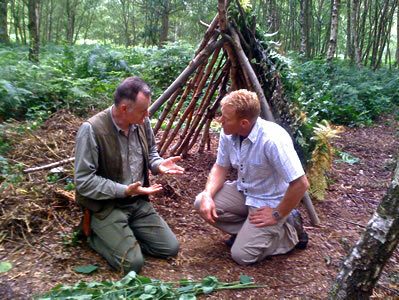 Dave instructed presenter Adam Henson in the art of shelter building and fire lighting with the bow drill. You can see how Adam got on with his new found skills in this video clip on the BBC website. 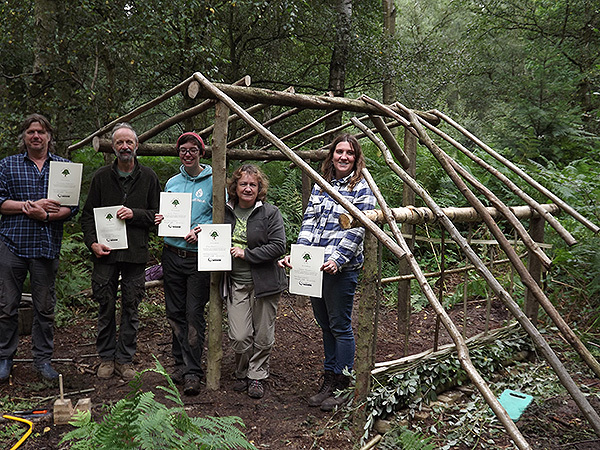 Discover more about our popular bushcraft courses or read a selection of customer testimonials.